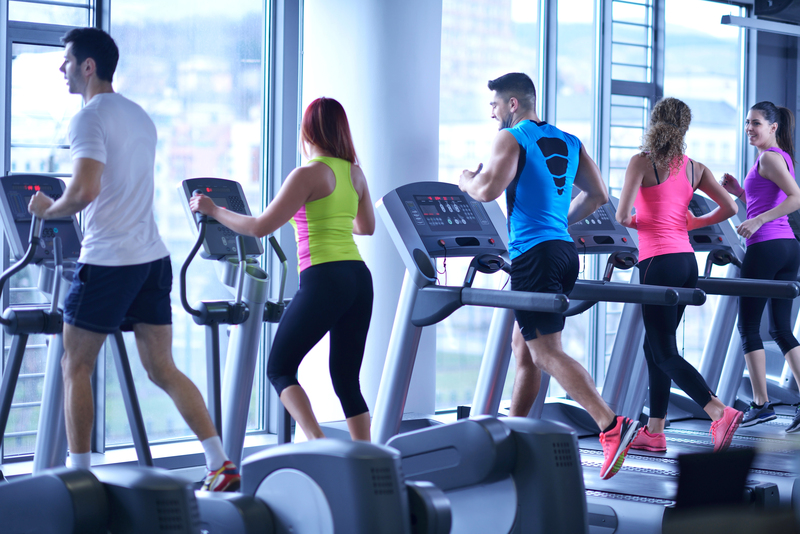 Top5 » Fitness » Cardio Aerobics » Elliptical vs. Treadmill: Which Is Best for Weight Loss? If you’ve ever dieted, you’ve likely realized that dieting alone isn’t the best way to lose weight. You also need to be active so that you burn calories while taking in fewer calories. Running and walking are great ways to burn calories and improve your heart health. Both can be done outside, on an elliptical machine, or on a treadmill. But when it comes to elliptical vs. treadmill for weight loss, you may be wondering what’s best. Here is an overview of an elliptical vs. treadmill so you can choose the best exercise machine for your needs and preferences. Elliptical machines were created in the mid-1990s by Precor and quickly gained popularity for providing a minimal-impact cardiovascular workout. According to SteadyHealth, the earliest ellipticals had fixed handles to provide balance while you exercised your lower body. Later, the upper parts became mobile to help people get an even better workout. Front drive: Front drive elliptical machines are the type many people tend to select for their in-home gyms. The flywheel is in the front, which requires you to lean forward a bit, similar to a stair machine. They are typically the most basic and cheapest type of elliptical. Rear drive: Rear-drive elliptical machines feature a flywheel that is located in the back of the elliptical, and these machines are the kind you’d probably find in your gym or fitness center. Rear-drive ellipticals tend to be bulkier than front drive machines. 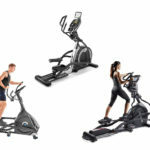 Center drive: Center-drive elliptical machines are the newest type of elliptical and feature a flywheel that is centrally located with pedals on either side. This type of elliptical allows you to stand up straighter than front drive machines do. Elliptical machines provide a great workout for the lower body while also helping tone the upper body. Cross-training help: Ellipticals work your lower body, but the moveable handles allow you to work out your upper body at the same time. Easy to use: Most people find ellipticals easy to use and don’t realize how hard they are working out. Thus, you are burning more calories than you realize. Low-impact cardio: Ellipticals allow you to mimic walking or running motions with less impact on your joints than treadmills. Thus, if you are recovering from an injury or have joint problems, an elliptical will be much better for your body than a treadmill. 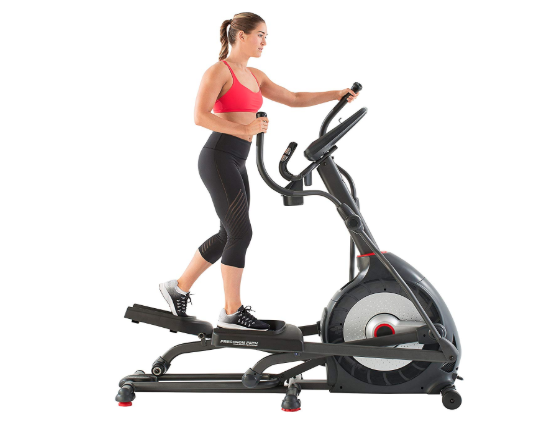 Reverse stride: Most ellipticals enable you to walk or run backward. Reversing your stride can activate different muscles and add more variety to your workout. Less dynamic than treadmills: If you’re running or walking on a treadmill, adjusting the speed and incline can have tremendous effects. This is not the case on an elliptical, and not all ellipticals allow you to adjust the incline. Not natural: If you like to run, you may find that the running simulated on an elliptical does not feel as natural as running outdoors or on a treadmill. Numb Feet: Some people complain that their feet become numb on an elliptical. This is because you never pick up your feet, which can reduce your circulation. Full-body workout: Ellipticals work both your upper and lower body. Low-impact workout: Your feet glide through the air on pedals, making this workout perfect for people with prior injuries. Weight-bearing exercise: Weight-bearing exercises help prevent the onset of osteoporosis. 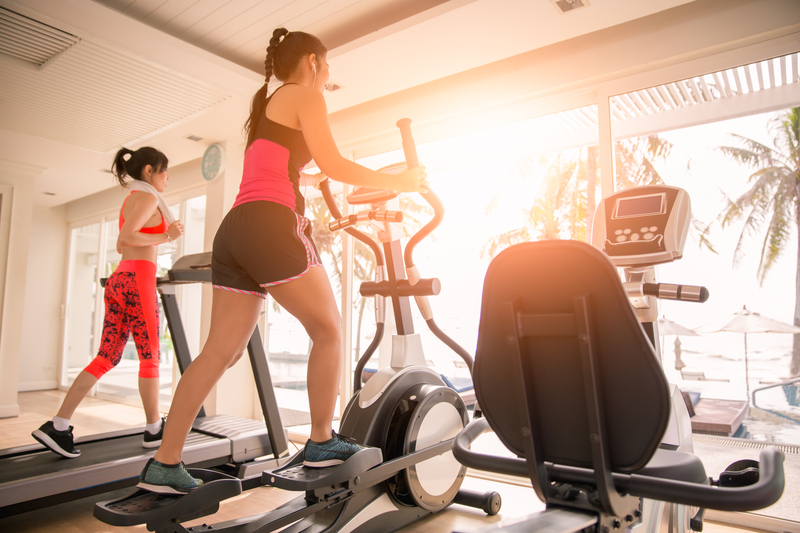 If you’re looking to add an elliptical machine to your in-home gym, check out the best elliptical machines of 2019.
Who Is the Elliptical Machine Suited for? Have you ever gone to the gym and looked at the cardio section and wondered “elliptical vs. treadmill: which is better”? Both machines are great. It all depends on what you’re looking for. 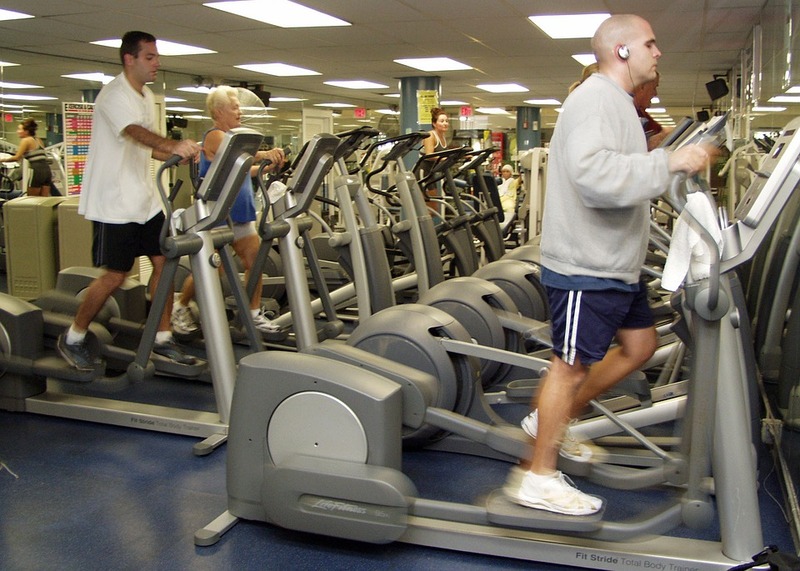 Elliptical machines are best suited for people seeking a low-impact cardio exercise. This could be someone who is new to working out and wants to work their way up to high-impact activities, or it could be someone who has joint pains, bad knees, or past injuries and can no longer perform high-impact workouts. Treadmills have been around for centuries. The earliest forms date back to the Roman Empire (around the late first century) and were called “treadmill cranes” or “tread wheels” created to help lift heavy weights. In the 1950s, medical treadmills came along to help diagnose heart and lung diseases, and in the 1960s treadmills began to be marketed as in-home exercise machines. Treadmills mimic natural walking and running and are an excellent choice for those looking for a good cardio workout or calorie-burning regime. 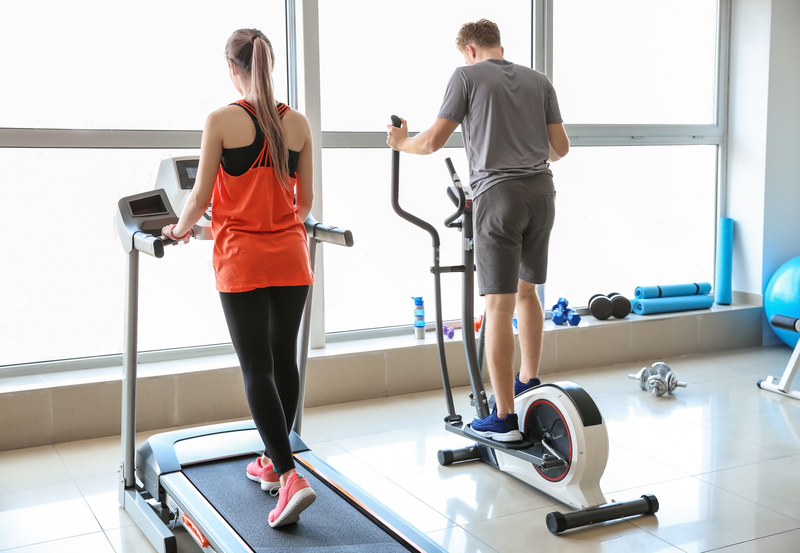 While elliptical machines work the upper and lower body and cardiovascular system, treadmills focus on the lower body and cardiovascular system. The treadmill works the same lower body muscles that the elliptical works, but does a better job on the core than the elliptical. Easy to use: Treadmills are great for both beginners or advanced athletes. Just turn on the belt and start walking! Good incline: Typically, treadmills offer better inclines than ellipticals. Runner focussed: While the elliptical is great for cross-training and walking, it won’t give you the same feeling as running that a treadmill will. 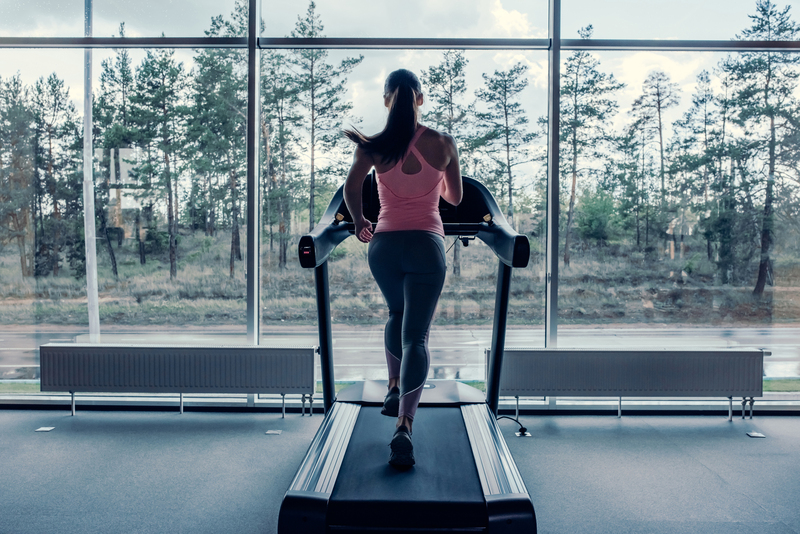 Workout variety: Treadmills can be used for either a low-impact workout or a high-impact workout depending on whether you walk or run. High cost: Treadmills are expensive – especially compared to walking or running outside! Risk of injury: Because of the moving belt, treadmills can be dangerous. If you fall on the belt, you risk a burn or worse. Weight loss: Treadmills can help you achieve your weight loss goals. Who Is the Treadmill For? Treadmills are great for people who enjoy walking and running but prefer to do so inside. They are great for people looking to improve their cardiovascular health, those who may be new to working out, and those who want a mix of low-impact and high-impact exercise. They’re also great for runners who may be training for a marathon., particularly if it’s too cold or wet outside to get those long runs in. 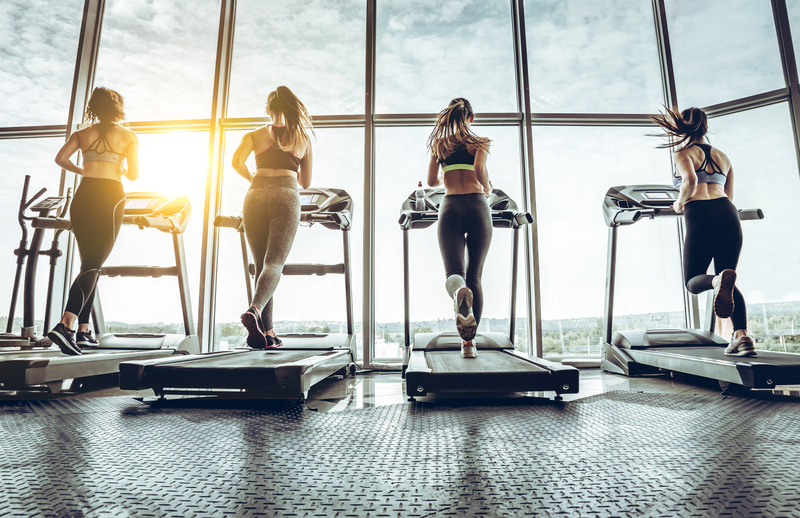 If you’re looking to add a treadmill to your in-home gym, check out the best treadmills of 2019. So now that you know everything there is to know about an elliptical vs. treadmill, let’s go back to the beginning question: which is best for weight loss? The answer is: it all depends on the user. Both are great. Both allow you to burn calories and both offer great lower body workouts. Thus, it depends on how you use the machine. 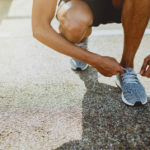 If you’re a runner and run five miles a day on a treadmill, you’ll likely lose more weight than someone who walks for thirty minutes a day on an elliptical machine. The treadmill will also typically burn more calories because someone weighing 180 pounds who does a 45-minute workout would burn 441.8 calories on the elliptical and 675 on the treadmill. Now that you know the difference between an elliptical vs. treadmill, go out and add your preferred machine to your exercise routine.